Interestingly enough, this often quoted line from the beloved ‘80s movie “Ferris Bueller’s Day Off” can apply to the workplace today. Laws are being enacted, particularly at the state and city level, and issues are emerging at such a rapid rate that it is sometimes hard for employers to keep up. However, it is essential for HR to stay on top of these changes. Many of these new laws and regulations have a direct impact on employee handbooks since they are an important tool for communicating workplace policies, practices and procedures to both employees and managers. 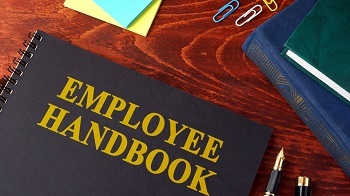 Below are some rapidly developing issues that you should be staying on top of because they may be coming soon to your state or city and would directly impact your employee handbook. In an effort to advance pay equity and eradicate the gender wage gap, a significant number of states and cities are enacting equal pay legislation or substantially revising longstanding equal pay laws. Such changes include strengthening equal pay laws, narrowing an employer’s defenses and expanding an employee’s entitlement to remedies and damages. Some laws are aimed at increasing pay transparency by prohibiting employers from banning discussions regarding wages. Other jurisdictions have taken steps to prohibit employers from requesting salary history since it may perpetuate an existing wage gap. Examples of jurisdictions that now have equal pay and/or salary history laws include California, Delaware, Massachusetts, New Jersey, Washington and New York City. Another new trend an employer needs to be aware of is the rise of predictive scheduling legislation. States like Oregon and cities such as New York City and Seattle are leading the way in predictive scheduling laws, but similar measures have been proposed in various states. These laws aim to provide workers with greater control over their workplace schedules, terms and conditions by requiring an employer to provide an employee with additional compensation if the employer makes scheduling changes. Predictive scheduling laws also prohibit an employer from discriminating or retaliating against employees who request scheduling changes. It is important for an employer to provide notice to employees of their rights under these laws in their employee handbooks and offer details on how schedules are set and how employees should request any scheduling changes. The #metoo movement brought a renewed focus on workplace harassment and inappropriate conduct. It also highlighted the importance of having well-publicized policies and complaint procedures and making sure employees are aware of these policies and how to a file a complaint. • A commitment to keep complaints confidential to the greatest extent possible. States and cities continue to enact laws seeking to protect women who are pregnant or breastfeeding from discrimination and harassment in the workplace. Additionally, a number of laws require an employer to provide reasonable accommodations if doing so would not create an undue hardship for the employer’s business. Recent examples of states enacting such laws include Massachusetts, New Jersey and Utah. A prudent employer should make sure that such protections and accommodations are clearly listed in its employee handbook and included in any equal employment opportunity (EEO) or accommodation policy. Leave laws continue to create a big headache for an employer that may be tasked with not only understanding its legal obligations under a particular law, but also knowing how the law intersects with other laws and the employer’s own policies on absences and paid time off. States and cities have been quick to expand their leave laws with states such as Maryland, Oregon, Washington and Rhode Island enacting paid sick leave laws and Mississippi and Virginia expanding military leave rights. Given the myriad changes that are occurring on an almost monthly basis at the state and local level, it is essential for an employer to stay in the loop with respect to these developments and consider how they will affect its workforce management. • Is this topic covered in my employee handbook and employment policies? • Do I need to cover this topic in my employee handbook? • Do I have to revise any current policies to incorporate this development? • Do I need to create a new policy statement to address this development? • How will I communicate this change to the workforce?